Obama: Immigration Debate Not Just Policy, 'It's About People' : The Two-Way While Obama echoed the pillars of immigration reform presented by a bipartisan group of senators on Monday, he also made an emotional plea for reform. Talking to an audience in Las Vegas, an upbeat President Obama said that "now is the time" for "common sense comprehensive immigration reform." While Obama echoed the pillars of immigration reform presented by a bipartisan group of senators on Monday, he also made an emotional plea for reform. "What makes somebody American," he said, "is not just blood or birth, but allegiance to our founding principles." Obama said that immigrants make this country vibrant and are responsible for a fourth of new small businesses and a fourth of high tech businesses. He said Google and Yahoo! and Instagram were all in part founded by an immigrant. He said that's partly why immigration reform is "common sense." Obama warned that as immigration reform becomes more of a reality there will be those who try to knock it down, who will try to frame the debate as "us versus them." But "many forget most of us used to be them," Obama said before delivering a brief history of immigrants to this country — from the Irish to the Germans, from the Scandinavians to the Chinese. "All those folks before they were us, they were them. And when each new wave of immigrants arrived, they faced resistance from those who were already here. They faced hardship. They faced racism. They faced ridicule. But over time, they went about their daily lives. They earned a living as they raised a family, as they built a community, as their kids went to school here. On 'Morning Edition': Sen. Jeff Flake, R-Ariz.
"They did their part to build the nation. They were the Einsteins and the Carnegies, but they were also the millions of women and men whose names history may not remember, but whose actions helped make us who we are, who built this country hand by hand, brick by brick." "Remember," he said in closing, "that this is not just a debate about policy. It's about people." The substance of his proposal did not differ substantially from the group of senators unveiled Monday. The Washington Post has posted the White House's principles on the issue. Obama boiled it down to three main issues: First, enforcement. Second, a path to citizenship for the estimated 11 million people in the country illegally and third, an overhaul of the current system. One thing to note: While Obama seemed to go along with the Senate proposal, he also said if Congress doesn't act, he would write his own bill and "insist" legislators to vote on it "right away." While it's expected that many of his proposals will mirror those put forward Monday by a bipartisan group of senators, there are also signs that when President Obama lays out his latest thoughts on how to overhaul the nation's immigration laws he will have some "more liberal" ideas. "People with knowledge of the proposals" tell The Washington Post that among the differences between the senators' plan and what Obama will talk about Tuesday afternoon in Las Vegas is that the president prefers "a quicker path to citizenship for illegal immigrants" than the lawmakers have outlined. Still, NPR's Mara Liasson and other journalists who cover the White House report that for the most part the president is likely to praise the plan drafted by the senators — who include Republican John McCain of Arizona and Democrat Charles Schumer of New York. The New York Times writes that Obama "is expected to embrace" the proposal even though he "differs with the group on some key issues, notably whether to make a path to citizenship for undocumented immigrants conditional on further tightening the nation's borders." "Likely to emphasize differences that could foreshadow roadblocks to passage in Congress at a time when both parties say there is momentum for a comprehensive deal. "For example, the Senate proposal would let illegal immigrants obtain legal residency quickly. 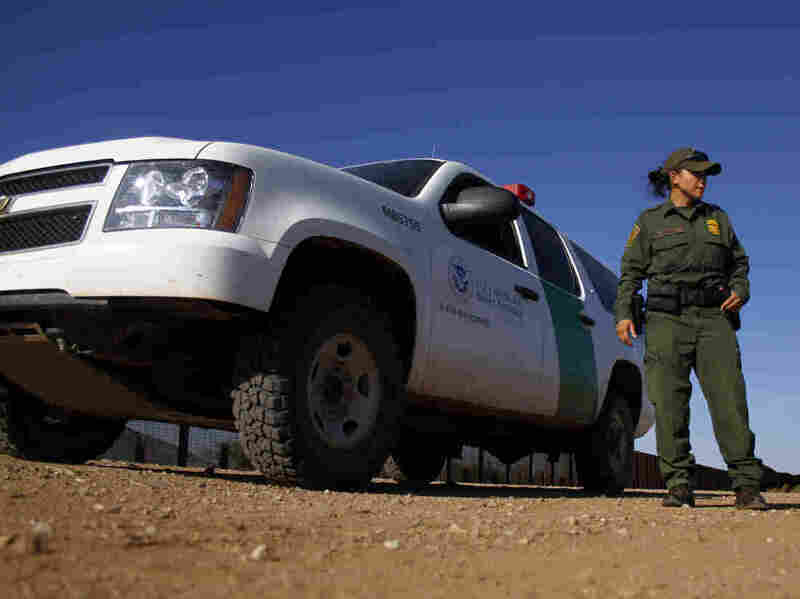 But it would not allow them to seek full citizenship until border security had been improved and a new system was in place for employers to verify the employment status of workers. "Obama will not endorse such a proposal, the administration official said. The president intends to make clear the need for a more straightforward route for un­documented workers and students to obtain citizenship." Politico likens what's about to begin to an "immigration dance" with Obama and his fellow Democrats on one side, McCain and other Republicans such as Sen. Marco Rubio of Florida on the other. On Morning Edition, Republican Sen. Jeff Flake of Arizona (a member of the bipartisan group), said there's a moral component to overhauling immigration laws — particularly for "children who are brought here through no fault of their own" and in effect have been "born without a country." The president is due to speak around 3 p.m. ET. We'll watch for news from that address.